Its National Chocolate Week everyone! There's only a few wagons I'll jump on when it comes to national 'this' day and national 'that'. But chocolate? Absolutely, yes please! This chocolate digestive cake is the perfect no-bake recipe to make after work. Leave it to set in the fridge and it'll be ready to take into the office in the morning if you're looking for extra brownie points. Failing that, it will set in less than an hour so you can have it for dinner. Because being an 'adult' means that I get to make the choices for dinner and chocolate for dinner will make my soul happy! In a small bowl, break half the biscuits into small pieces. Add most of the nuts, leaving some behind for garnishing the top of the cake. Melt the butter, golden syrup and chocolate in a bowl placed over a pan of barely simmering water to melt. When fully melted and smooth, add the nuts and biscuits and mix. Use cling film to line a 1lb loaf tin, leaving enough round the edges to pull the cake out once set. Halve the remaining biscuits and place a layer in the bottom of the tin. 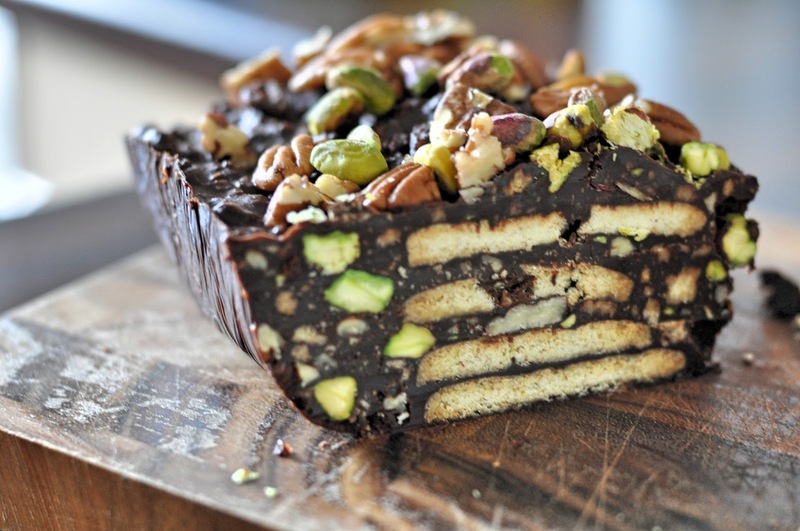 Alternate between layers of chocolate and biscuits. Slowly pour any remaining chocolate over the top. Use a sheet of greaseproof paper to cover and push down the mix firmly into the tin. Sprinkle the remaining nuts over the top and leave to set in the fridge for around an hour to firm. Remove from the tin using surplus cling film and slice to serve. 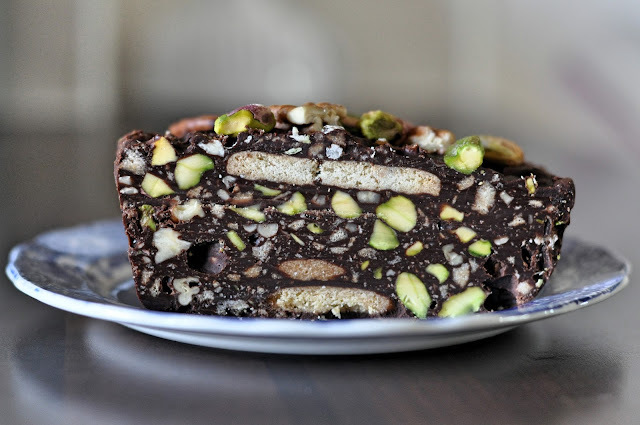 There's so many variations you could make on this recipe, change the biscuits, the chocolate and nuts to whatever you've got lurking in your cupboards. In my house chocolate is an "every meal" food. It stops me from losing my mind. Yay, adulting! now this i will have to try!